One of the major obstacles to poverty reduction through economic growth and job creation in developing countries is an electricity supply that is insufficient, unreliable or unaffordable. More than 1.3 billion people around the world lack access to electricity. This stifles investment, increases costs of goods and services, and often forces families to seek electricity sources that are expensive and environmentally unfriendly. An unreliable source of electricity can hamper the delivery of critical services like health care and reduce job opportunities, particularly for the poor and socially disadvantaged. Country-led development is a core principle of MCC investments. Many of MCC’s partner countries identify and prioritize electricity investments as a building block for the economic development of their countries and the well-being of their citizens. MCC invests in the electricity sector to create self-sustaining electricity systems to meet current and future household and business electricity needs and attract private investment to stimulate economic growth. With the electricity sector investment needs of Africa and South Asia estimated at approximately $40 and $70 billion per year, respectively, these regions need to look beyond traditional donors, development banks and domestic markets to plug the investment gap. Private sector capital and expertise are vital to expanding and improving the sector. Transparent governance, contract enforcement, creditworthy institutions and respect for the rule of law are some of the necessary preconditions to attract this kind of investment. MCC helps partner countries to address gaps in their electricity sector policies, laws and regulations and strengthens sector institutions to help create a business-friendly environment. MCC is working with the government of Ghana towards concession of the Electricity Company of Ghana, a large distribution utility. This will bring an experienced private sector operator of the utility and also the much needed investment into Ghana’s power sector, reducing the financial burden on the government while improving the distribution network. 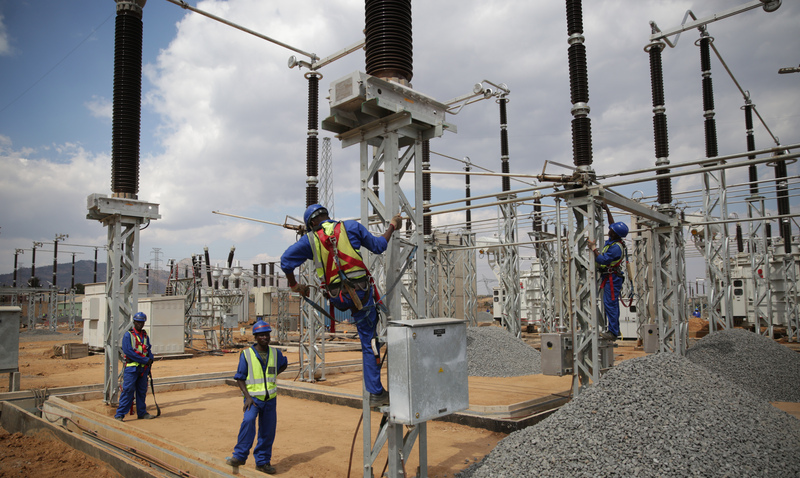 Workers at the 400 kilovolt Nkhoma Substation—a significant transmission upgrade completed as part of MCC’s $350.7 million compact with Malawi. Reliable, sustainable power requires a strong infrastructure base. MCC invests in strategically identified electricity infrastructure, spanning the entire power sector value chain. In September 2018, MCC successfully completed its five-year compact with the government of Malawi, revitalizing the country’s power sector. MCC investments in Malawi have helped stabilize the electricity grid and increase the volume of electricity that can flow through the system. 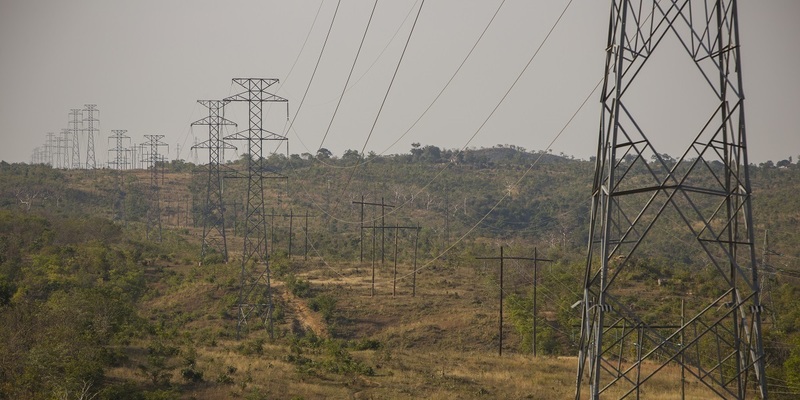 A new high-voltage 400 kilovolt overhead line strengthened the backbone of the transmission network, now allowing the system to accommodate new power generation and enabling Malawi to link to the Southern African Power Pool, creating the opportunity buy and sell electricity from neighboring countries in the future. MCC also rehabilitated and expanded the 88 megawatt Mount Coffee hydropower facility in Liberia and is procuring firms to finalize design of the low-voltage distribution lines in Benin. MCC is committed to investing in climate-smart measures. In a number of countries, MCC provides grants towards the development of renewable sources of electricity to serve both on- and off-grid communities. MCC also promotes energy efficiency measures, which reduce the cost of electricity for beneficiaries and are vital to reducing the amount of electricity needed. A $25 million energy efficiency project in the Ghana Power Compact will build on Ghana’s past successes. The program will implement energy-efficient standards and labelling, build capacity for improved energy auditing, launch a public-awareness campaign to promote energy efficiency, deliver retrofits of public facilities, and convert street lighting to efficient LED technology. MCC will increase Benin’s domestic generation capacity through investments in utility scale solar generation projects. These projects are expected to dramatically increase the amount of installed capacity in Benin—equivalent to one-third of the country’s current peak demand—while helping the country reduce its reliability on energy imports. Investing in the capacity of energy institutions helps create a workforce with the necessary skills to deliver the services required to help an economy grow. By building the capacity of key stakeholders and providing technical assistance to public and private energy organizations, partner countries gain foundational knowledge in areas like project planning, coordination and resource management. In addition to the rehabilitation and expansion of Mt. Coffee hydropower plant, MCC’s compact with Liberia invests in building capacity of the electricity sector institutions. The compact investments do this through the development of a training center for electricity sector technicians and the creation of an independent energy regulatory agency, as a lack of a sound maintenance strategy and proper regulatory oversight make electricity generation capacity a critical constraint to growth in Liberia.